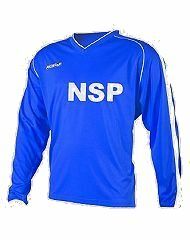 Nottingham Screen Prints design and apply logos to Football Kits and many other Sports Team Kits. 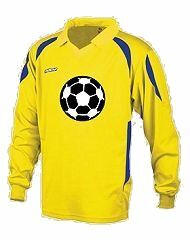 Using our Textile Transfer Imaging Systems we can design your sponsor's logo and heat-press it onto your football kit. 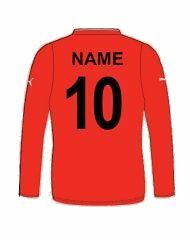 Club names, players' names and numbers can be applied in a wide range of colours. These images are wash fast, but you must follow the washing instructions. 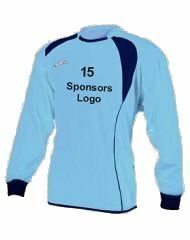 You can supply your own kit for printing, so please contact us for a competitive quotation. 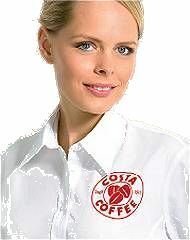 For many years, Screen Printing was the preferred way to print logos on leisure wear garments. However there is another way: CAD-cut (Computer-Aided Design) logos. CAD-cut logos are cut out by computer from ink-coated paper. The design is then heat-applied to the garment which can be washed according to manufacturer's instructions. CAD-cut (often referred to as textile transfer technology) is particularly useful for sharp images on a dark fabric, e.g. : yellow on bottle green, white on black, red on black. We have a wide range of popular colours. 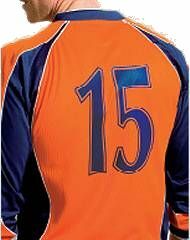 We can print team numbers and your sponsor's name - either in a single colour or several colours - onto your football, rugby or sports kits.